Whenever I needed yarn or just felt the urge, I’d pop over to my favorite yarn shop. Now that I’ve moved, my favorite shop is over 2,100 miles away! That’s a bit too far away to satisfy my yarn cravings, unfortunately. Having a great yarn shop to visit is such a big help and I’m desperate to find a shop near my new home. I looked for yarn shops with Google Maps and found a few options but there wasn’t much information available for most beyond a name, an address, and maybe a website. So, I turned to Ravelry which has proven itself to be a great knitting (and crochet and spinning and weaving) resource. I found so many more shops and so much more information than with Google. 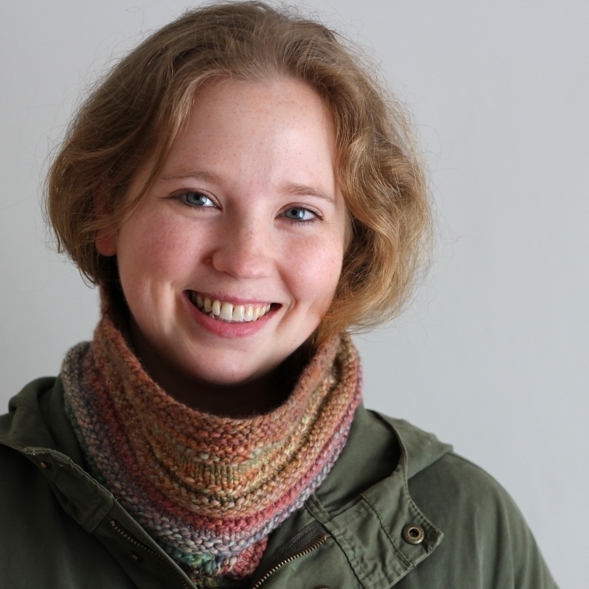 If you’ve just moved, are looking for yarn shops to visit on a trip, or just want to go somewhere new, Ravelry is the place to start looking. 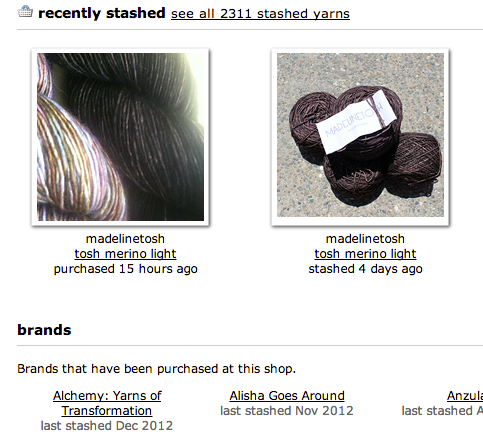 Once you’re logged in, click on the “Yarns” tab at the top of the page. Right under the “popular new yarns” box is the Local Yarn Shop Directory. You can search by shop name, city, address, or zip code. I’m going with zip code since I want to see all of the shops in my general area. If you’re visiting, typing in the city’s name might give you better results. After you click search, the next page lists all of the yarn shops within the area. You get their name, address, website, and distance from search address. To narrow down the results, change the mile filter near the top of the screen if you’re getting pages and pages of results. You can also choose to view the shops on a map when you click the “Location Map” tab. When you click on a shop, you’ll go to a page that tells you all you need to know: name, address, contact info, and hours. If the shop has a website or a twitter account, those links will be there too. You can even see a map and get directions. Just as helpful, you’ll be able to see individual yarns that people have bought at the shop and brands the shop carries. Definitely useful information when you’re trying to decide if a shop is worth visiting. Have fun finding your new favorite yarn shop!